Welcome to A Sampling Bee! Today, I share with you Daily Goodie Box. A goodie box that is FULL of samples! 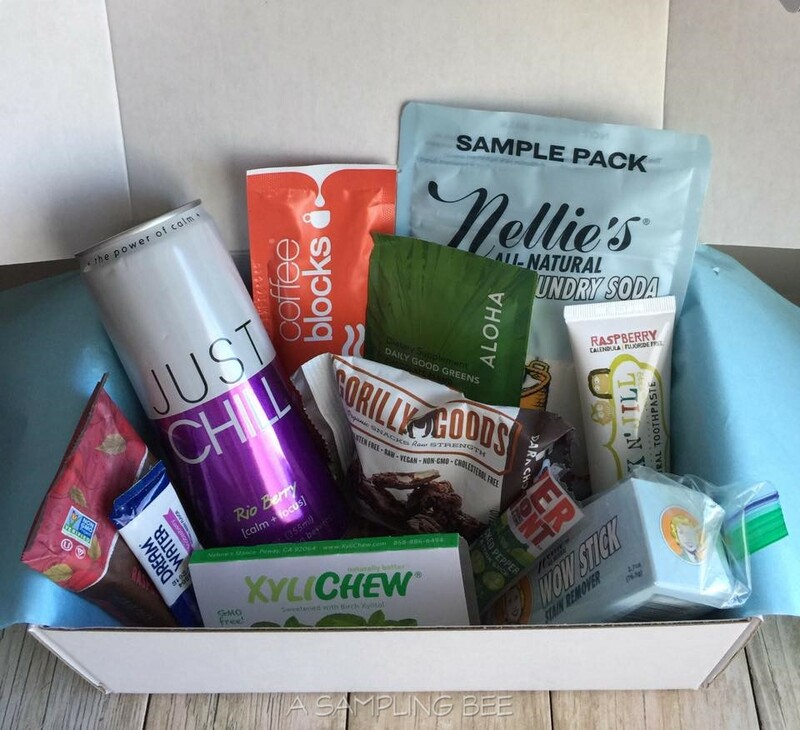 Daily Goodie Box is 100% free and contains a numerous amount of samples for you to try. Samples range from snacks, drinks, household products, beauty products and hygiene products. Past boxes have contained brands such as Goddess Garden, Bitsy's Brainfood, Protes, SmartyPants and Beanfield Snacks. Joining Daily Goodie Box is free and once you receive a box, all you need to do is leave your thoughts about each product in the box. When I first heard about Daily Goodie Box, I immediately signed up. Boxes are subject to availability so I thought that I would never get one. Well, within an hour, I had a box waiting for me in my account! I received the box in about 2 weeks and I was thrilled. I love trying samples. Especially when it's samples of things that o have yet to tried. I love trying before I buy! The Daily Goodie Box is just that. A Goodie Box.... Full of LOTS of great samples. Out of the 11 samples that were in this box, I only tried 2 of them before. The rest of the samples were completely new to me. A few of my favorite products in the box were the Gorilly Goods, Nellie's Laundry Soda and the Jack N' Jill Kids toothpaste. It's nice to try new things and I hope that I will get a lot more Daily Goodie Boxes sent to me! Sign up for Daily Goodie Box today!